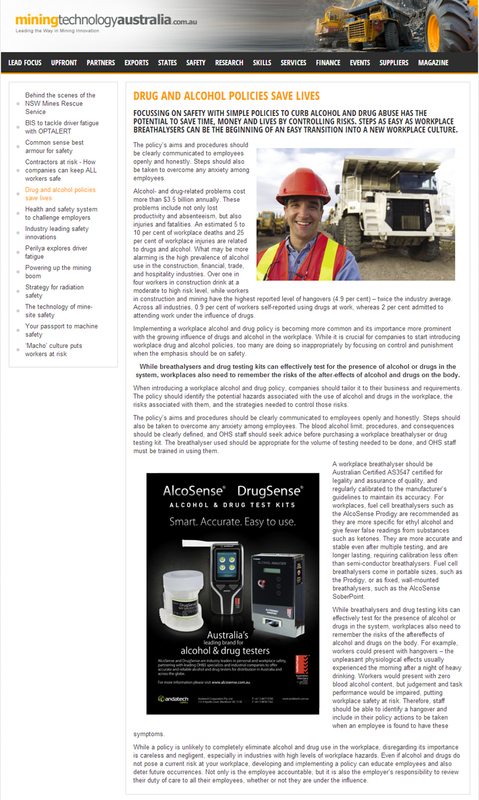 Our article was featured recently in the Mining & Technology Australia magazine (Issue 5/2012). The article focused on how to implement a workplace drug and alcohol policy properly and easily, and it looked at the hazards, steps, and tools that should be taken into account in a D&A policy. If you’d like any further information on implementing a Drug and Alcohol Policy at your workplace, or would like to know more about which breathalyzer or drug testing kit is suitable for your needs, feel free to contact us.